The Western Kansas Dietetic Association (WKDA) is one of six Districts within the Kansas Academy of Nutrition and Dietetics. 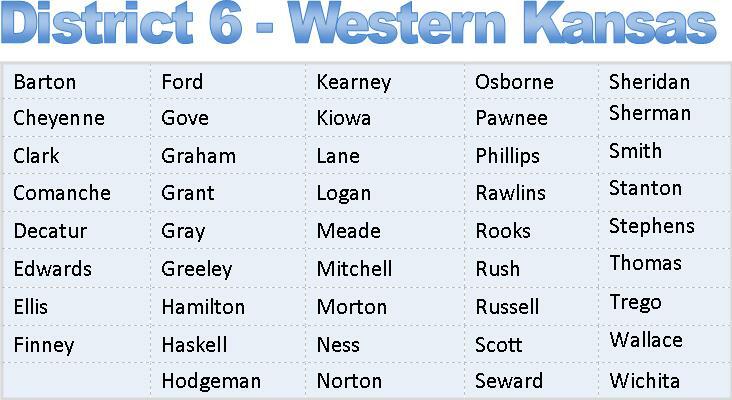 Located in western Kansas, the WKDA is KSAND’s largest district composed of 44 counties. Dietitians from each of these counties work in a variety of settings and share their knowledge and expertise in Nutrition with the public to help promote health and wellness.